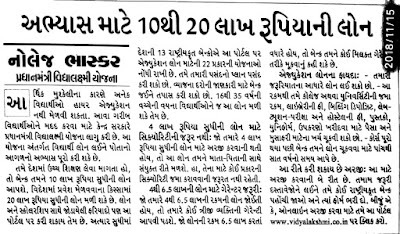 Home / EDUCATION NEWS / Uchch Abhyas mate hve 10 thi 20 Lakhni Loan malshe. Uchch Abhyas mate hve 10 thi 20 Lakhni Loan malshe. Uchch Abhyas mate 10 Lakh ni loan ane videsh abhyas mate 20 Lakh sudhini loan malshe. 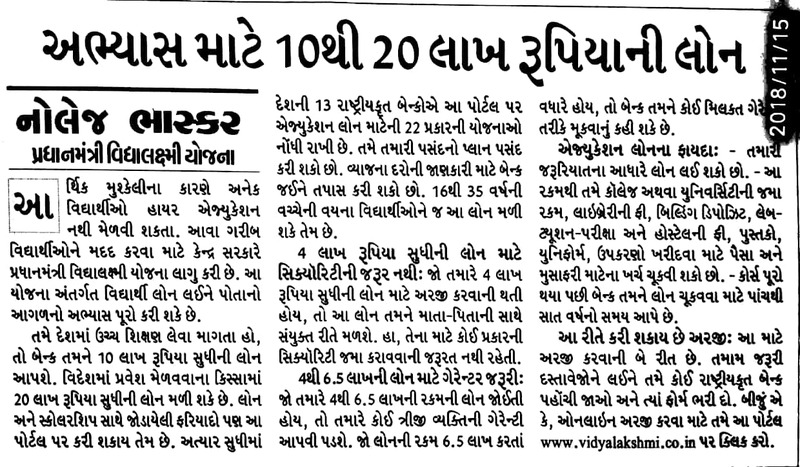 POSTING DAILY UPDATE ABOUT PRIMARY SCHOOL LATEST PARIPATRA, EDUCATIONAL NEWS AND OTHER COMPETITIVE EXAMS MATERIALS. LIKE TET,HTAT,GPSC,POLICE CONSTABLE BHARTI,GSSSB CLERK,TALATI MANTRI AND OTHER EXAMS. 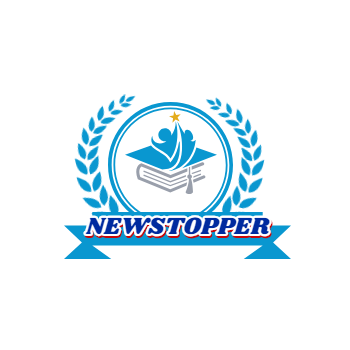 MUST VISIT THIS WEBSITE EVERY DAY FOR LATEST EDUCATIONAL UPDATES OF VARIOUS FACTROR HAPPENING IN THIS FIELD AND OTHER GK UPDATES.